Produktbeskrivning för Black Edie High Heel Sandal by Mulberry: Black leather high heeled sandals with rose gold metal signature buckles to the toe and ankle. 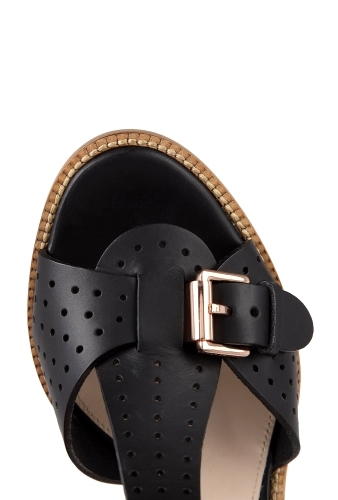 Mulberry sandals have perforated detailing to the front a stitched sole and a wooden cone heel. Heel measures 11cm.